A fabulous salad and combination! I love marinating beetroot. I’m also a recent beet convert! I can fully appreciate their earthy flavor (you put that so eloquently), whereas I used to think they tasted like dirt (a bit crass, I know). I want to try this with golden beets! Shall definitely try that salad: love the addition of the pistachios and mint! Yes, I call them beetroot also 🙂 ! My daughter will not eat beets so I must serve them when she is not eating at home, otherwise we would have them more often. 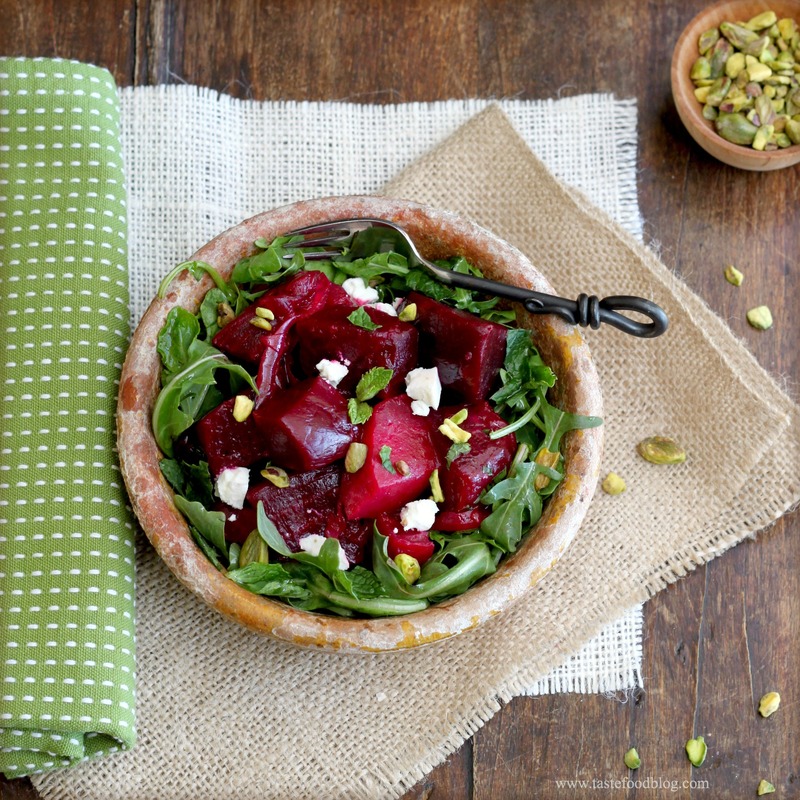 Pistachios and mint are a seductive flavor combination with the robust beets, a splendid salad! Oh Gosh! I fall in love with yr beetroots! 🙂 really! They are so bright!!!!! Truly a beautiful salad, Lynda! I am a lifelong lover of beets, and combining them with mint, pistachios and goat cheese would make me happy. Now to get some beets! 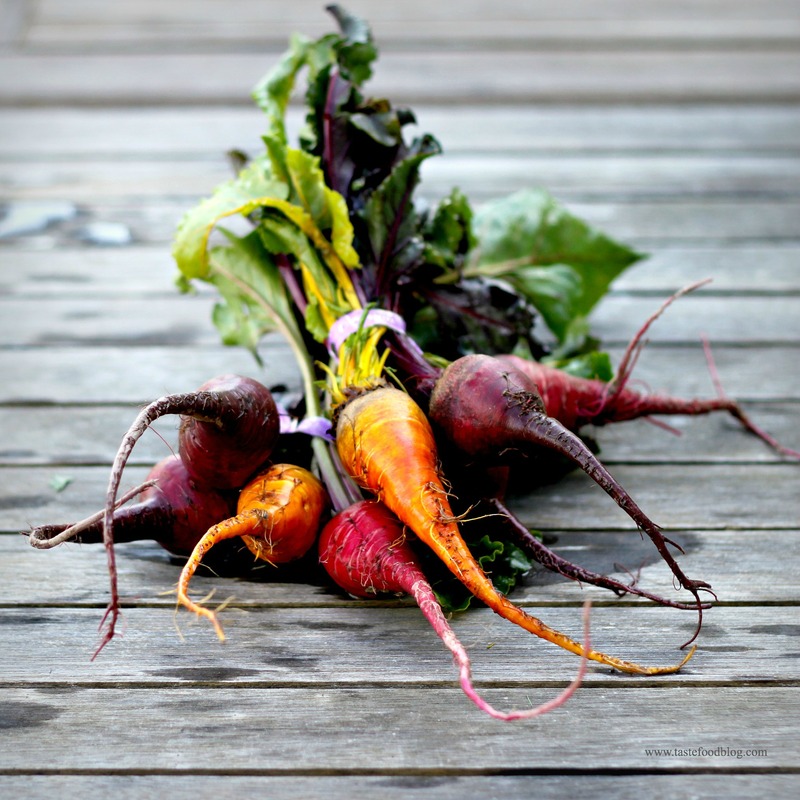 Your beet photo is so pretty, too. Looks and tastes fantastic! I love beets with goat cheese. Love the mix between mint and pistachios and I´m sure that with the beets it will taste wonderful. I’m not usually a huge beets fan but this looks delicious! Maybe you can convert me too!! Now THOSE are some lovely beets!